Martin Scorsese’ incendiary 1976 masterpiece of alienation and anger and urban anxiety may be the most maverick vision of seventies American cinema. 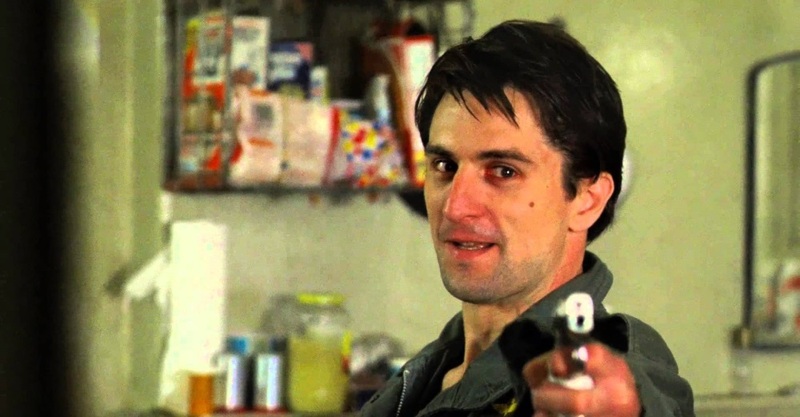 It is certainly one of the most visceral portraits of the American urban underbelly ever put on film, a movie bathed in blood as much as in light, and almost forty years later it still has the power sink the audience into the mind and filthy, fetid world of Travis Bickle. Directed by the ambitious young Scorsese, who confesses that he was driven to make this silent scream turned psychotic explosion of a script by Paul Schrader, and starring Robert DeNiro as Travis Bickle, it is a primal portrait and uncompromising vision carved out of the New York night, the summer heat and the garbage of the Times Square cesspool. Bickle, a character inspired by Schrader’s own spiral into self-obsessed urban loneliness, is no hero. The restless, insomniac Vietnam veteran who takes a job driving a taxi on the night shift and muses over the urban cesspool that he wanders through in his nocturnal prowlings in a hateful gutter poetry has convinced himself that he’s “God’s lonely man,” the self-appointed avenging angel out to clean up the garbage on the streets. Concussion joins the small collection of investigative films arriving at the end of 2015, with Spotlight and Truth and the German picture Labyrinth of Lies. This one might actually move the needle on its subject. The true story chronicled here looks at Dr. Bennet Omalu, the Nigerian-born forensic pathologist who established a connection between football and Chronic Traumatic Encephalopathy, or CTE. That research has already led to changes in NFL rules and increased scrutiny of former players. All those shots to the head, all those concussions—acknowledged or, frequently, not—have created a class of ex-players struggling with depression, erratic behavior, and memory loss. In the wintry air of A Most Violent Year, a would-be business magnate named Abel Morales (Oscar Isaac) sports a handsome camel-hair topcoat. He’d like to achieve success the honest way, and that immaculate coat is like his shining armor. Problem is, this is 1981-era New York, the business is heating oil, and nothing stays clean for very long here. Writer/director J.C. Chandor is skillful with these details—this is a very intricate story—and quiet in his approach. Abel’s jacket is the flashiest thing about the movie.